Ask the right questions about your IT strategy - Lucke and Associates CPAs, L.C. Lucke and Associates CPAs, L.C. For many businesses, technology is an evolving challenge. To refine your IT strategy, ask the right questions. For example, are you still bogged down with paper files or traditional digital spreadsheets? More-advanced software may help. Could fully integrating key systems eliminate “information silos” and a digital asset-sharing policy improve collaboration? Do you offer training to maximize your ROI? Is there a comprehensive security policy in place? Last, what do your users say about your technology? Getting answers to such queries can keep your tech tip-top. 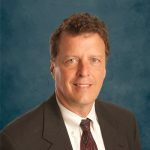 Jeff Lucke, CPA, is the founder of Lucke & Associates, with an entrepreneurial background. Jeff has had ownership interests in businesses within several industries including automotive, construction, healthcare, telecommunications, and restaurants, as well as being active in real estate. As an owner of a growing CPA firm and other businesses, he has gained unique insights into the challenges and issues that face other growing businesses that most other CPAs do not have. This kind of knowledge ultimately benefits every one of the firm’s clients. He is very involved with clients and becomes deeply involved in their businesses and helping them succeed. Jeff is a graduate of the University of Nebraska and holds a Bachelor of Science in Accounting; his professional affiliations include the AICPA and KSCPA. Jeff currently serves a board member for his community on the Construction Financial Managers Association, the American Diabetes Association, and Big Brothers Big Sisters.